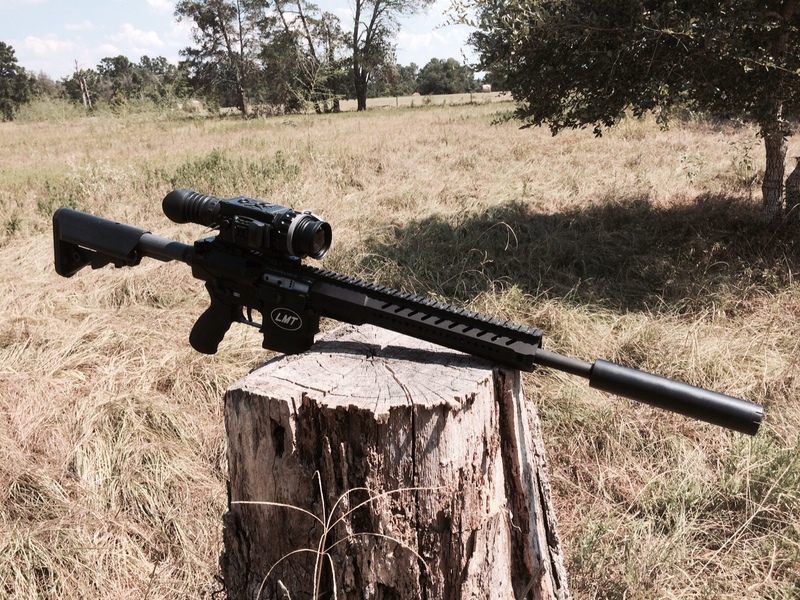 The Lewis Machine & Tool LM8MWS 308 is a serious gun built for serious men. While many AR-15s and AR-10s appear to be pieced together from a variety of sources the LM8MWS is a purpose-built design. 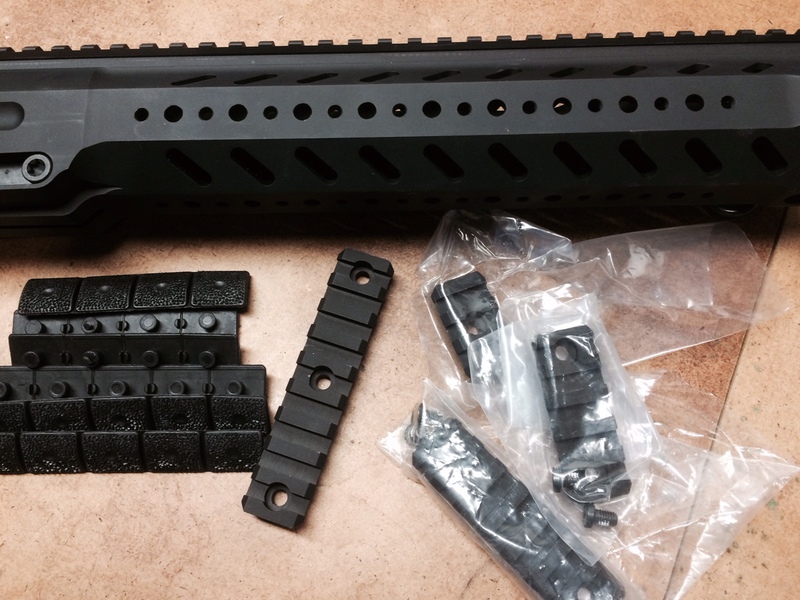 It just looks “right” with the slick Monolithic Rail Platform that integrates the receiver and handguard. The receiver and rail system is machined from solid aluminum forging and is rock-solid. The British military have adopted the platform as the L129A1. The LM8MWS is a slimmed down version of the renowned LM308MWS. This is a high-quality AR-10 308 featuring innovative design elements. The Monolithic Rail Platform and Modular Weapon System set this rifle apart from the competition. The handguard is “slick” and the octagonal shape is very comfortable in hand with no sharp edges. It ships with an assortment of grip panels and rail segments so that you finish it out however you want. The only accessory I normally run is a tactical light so I appreciate the weight savings over the heavier quad rail version. For those really wanting a quad rail, LMT offers a number of variants based off of this same platform. Barrel changes are quick and easy using the included torque wrench. Simply remove the two bolts at the base of the handguard, pull the old barrel out, insert the new barrel, and re-install the bolts. The torque wrench is preset at the factory so weekend ‘smiths can’t screw it up. A variety of barrels are available from LMT including some interesting choices like 6.5 Creedmore and 7mm-08. Barrels are of course free-floating. 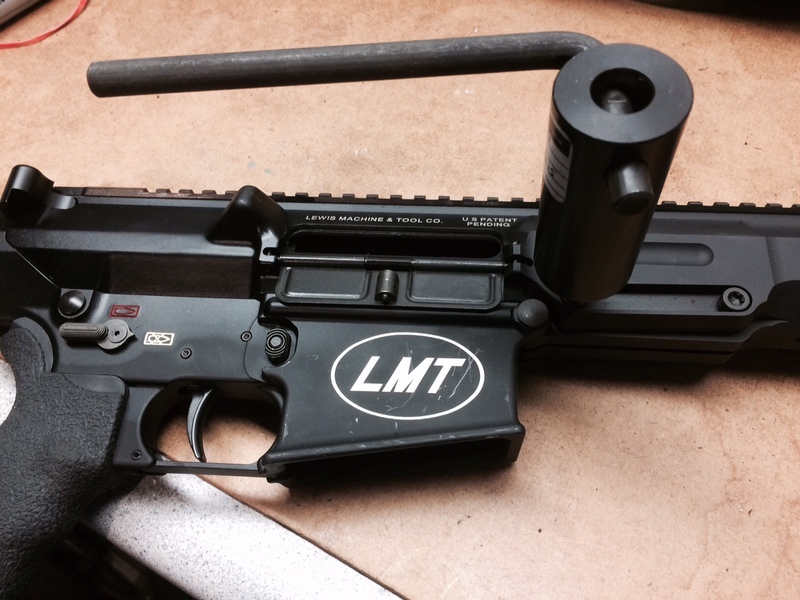 This modular design really sets the LMT apart from the competition. Standard barrel is 16″ Chrome-Lined 1:10″ twist. An AR-10 in 7mm-08? I might just need that! 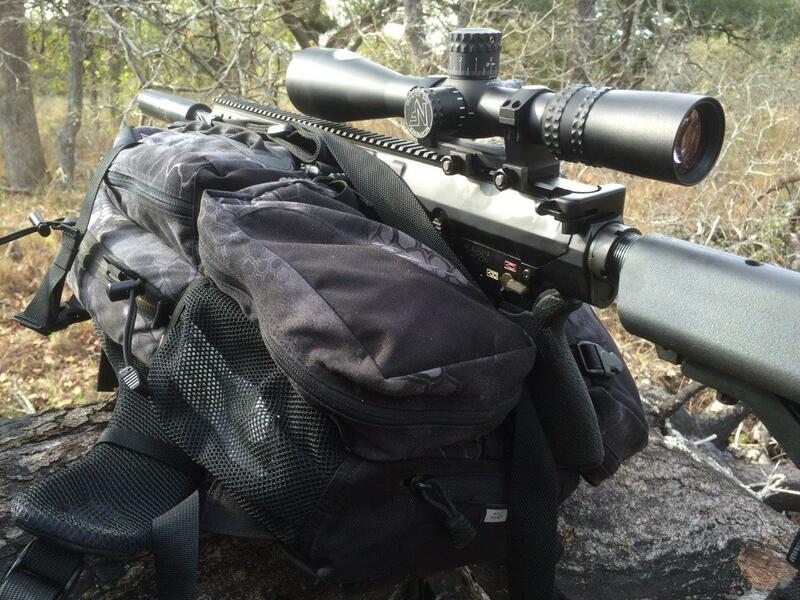 We have been running the rifle with an Armasight Zeus Pro thermal night vision scope and Crux Ark30 titanium suppressor. 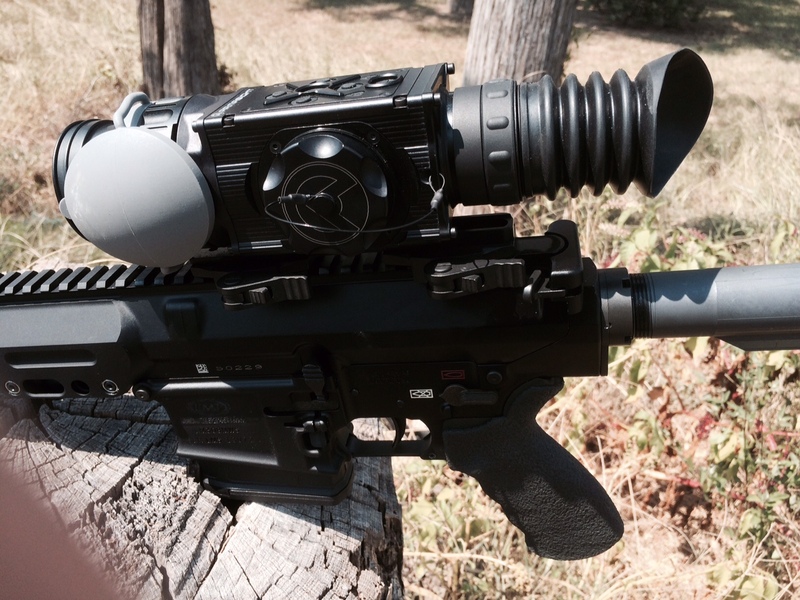 Quite simply, this is an outstanding weapon for hog control. In Texas, wild hogs are not considered game animals and can be hunted at night and by any means necessary. An AR-10 308 with thermal is a vicious combination. 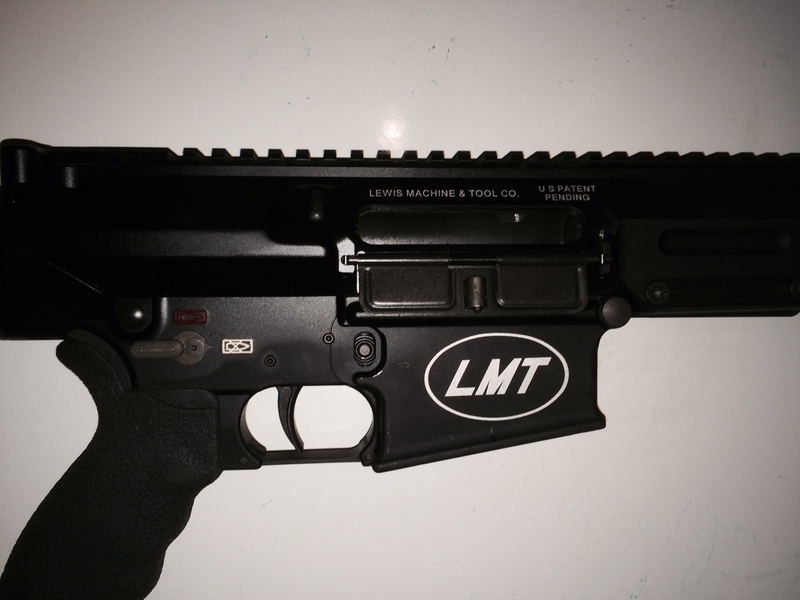 Accuracy testing has been on the back-burner but I expect the LMT to shoot sub-MOA groups. I have a Nightforce 3.5-15X50 coming in that will be used for accuracy testing. Stay tuned. The trigger is of a two-stage design. There is a slight take-up followed by a clean break that consistently registered 4.5 pounds on my RCBS trigger scale. The trigger quality is plenty acceptable for a battle rifle or most hunting situations. It is not an “ultra-crisp” match-grade adjustable trigger and anyone looking for a long-distance precision rifle will probably want to upgrade to a Geissele but most people will be happy with the stock LMT trigger. SOPMOD stock is very nice and comfortable. Good cheek weld. Solid with little wiggle to it. Includes storage for batteries or copies of ATF forms. There are five quick-detach sling swivel attachments points. Two on the SOPMOD stock, two at the front of the handguard, and one center. A sling is included. Ambidextrous fire control selector and mag release. Rifle comes standard with front and rear tactical iron sights that are removable. I took them off to shave a few ounces as the rifle weights in at just over ten pounds. Direct Gas Impingement. This is not necessarily a big deal but the LM8MWS could benefit from an adjustable gas block for use with a suppressor. Seems a bit over-gassed and throws brass forward to about the 2:00 position. I always run a silencer so this is personal preference. Now that I am thinking about it, I have not shot the gun without a silencer so I will do some testing with and without the silencer after I mount the Nightforce scope. Ran flawlessly with several different types of ammo. 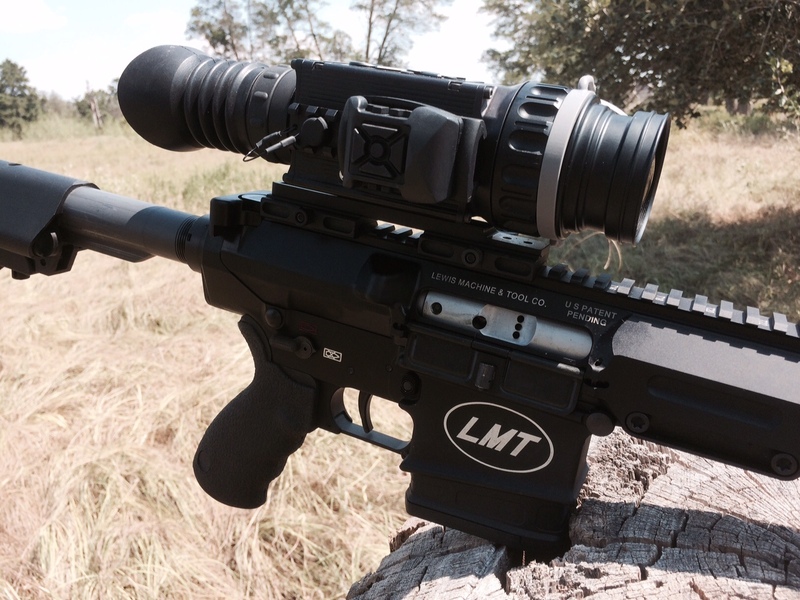 Anyone in the market for a high-end AR-10 should consider the LM8MWS from Lewis Machine & Tool. This is Part One of our long-term test. 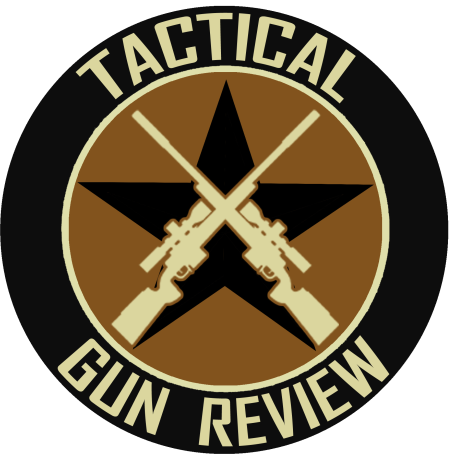 Check Tactical Gun Review for Part Two in the coming weeks. I own one personally and it started out plain jane 16 inch barrel 308 with the Stainless steel 1-11.25 twist. First I did a trigger job an mounted a bipod. Then I put a nightforce 2.5x10x40 but I wasn’t getting the accuracy I wanted so I got a custom 24 inch 308 barrel 1-10 twist 5r rifling with a surefire muzzle break. After proper break in I was averaging .75 inch groups with 168 grain sierra matchking loads and a little over .5 with berger 175 grain hand loads. Then I put a 5.5-22-50 nightforce on it and got a custom 26 in 6.5 Creedmoor carbon fiber barrel and with 140 grain berger vlds I am staying consistently sub half most out to 800 meters so if you want a mutiple caliber and extremely accurate and reliable rifle you can’t beat Lewis machine and tool but custom barrels are expensive if you don’t have the tooling to chamber and fit them properly but the rifle can make hits at 800 meters stock with good hand loads and make it out to 1200 meters with custom 308 barrel and 1400 meters with 6.5 Creedmoor barrel but all together I have over 8 grand in the rifle. Richard, I’m looking at 7.62 rifles and wanted to see how you still feel about the LMT? Is it still worth it and any other suggestions you may have are appreciated. for my money, it is between the Larue and the LMT. Leaning towards the LMT with 308 and Grendel barrels. The MWS looks sweet.